The purpose of this study was to field-test several conferencing technologies in regional schools to determine whether the technologies are appropriate for the needs of the university supervisor, trainee teachers and supervising teachers in practicum placements. The study also explored the potential of technology for other related purposes. Four technologies (Pocket camcorder, m-View, Skype, Adobe Connect) were trialed. Pre-service teachers reflected on the conferencing experience and university supervisors compared the remote supervision using the technologies with traditional on-site supervision. Findings revealed that Pocket camcorders gave good video quality and were very portable. Not designed for synchronous conferencing, they can however be used for asynchronous sharing though their limited field of vision and poor sound quality were constraints. For the m-View, picture and sound were limited by the quality and capabilities of the particular mobile phone used, and by the capacity of the 3G network. Skype and Adobe Connect were found to be the most appropriate applications. Both technologies are cross platform, offer good audio and video resolution. However supervisors and users need to be aware of limitations. The platforms require good broadband connectivity, and are dependent on choice of microphone and external webcam and the placement of these input devices within the classroom. Implications are drawn for professional experience and pedagogy. Gronn, D., Romeo, G., McNamara, S. & Teo, Y.H. (2013). Web conferencing of pre-service teachers’ practicum in remote schools. 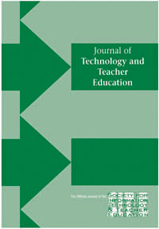 Journal of Technology and Teacher Education, 21 (2), 247-271. Waynesville, NC USA: Society for Information Technology & Teacher Education. Retrieved April 24, 2019 from https://www.learntechlib.org/primary/p/41307/. Ardley, J. (2009). Unanticipated findings: Gains by cooperating Teachers via Video-mediated conferencing. Journal of Computing in Teacher Education, 25(3), 81-86. Bolton, M. (2010). Fly on the wall: using Teleconferencing to Supervise Student Teacher Performance. Journal of Open, Flexible, and Distance Learning, 14(1), 62-76. Clawson, B. N., & Weiner, A. M. (1993). Two-way, interactive a/V applied to the supervision of student teachers. Technological Horizons in Education Journal, 20(11). Cruickshank, D. (1987). Reflective teaching: The prepartion of students of teaching. Reston, Va: association of Teacher education. Grable, C., Kiekel, J., & Hunt, A. (2009). Digital Pre-Service education: field experiences as a Possible augmentation to the Traditional Brick and mortar field experience. Journal of Education, Informatics and Cybernetics, 1(1). Henry, M. A., & Weber, A. (2010). Supervising Student Teachers:The Professional Way. Maryland, uSa: rowman & Littlefield education. Hixon, E., & So, H.-J. (2009). Technology’s role in field experiences for Preservice Teacher Training. Educational Techhnology & Society, 12(4), 294304. Karabulut, A., & Correia, A. (2008). Skype, Elluminate, Adobe Connect, Ivisit: A comparison of Web-Based Video Conferencing Systems for Learning and Teaching. Paper presented at the Proceedings of Society for information Technology and Teacher education international conference 2008. Kent, A. M. (2007). Powerful Preparation of Preservice Teachers using interactive Video conferencing. Journal of Literacy and Technology, 8(2), 41-58. Kock, N. (2004). The psychobiological model: Towards a new theory of computer-mediated communication based on Darwinian evolution. Organizational Science, 15, 327-348. Lehman, J. D., & Richardson, J. (2007). Assessing the Use of Video Conferencing for Linking Teacher Preparation Programs with K-12 Schools. Paper presented at the aecT conference. McDevitt, M. A. (1995). Two-way Television: Linking Preservice Teachers to real world Schools. Technology and Teacher Education, 3(1), 81-92. McDevitt, M. A. (1996). A Virtual View: classroom observations at a Distance. Journal of Teacher Education, 47(3), 191-195. Pickering, L. E., & Walsh, E. J. (2011). Using Videoconferencing Technology to enhance classroom observation methodology for the instruction of Preservice early childhood Professionals. Journal of Digital Learning in Teacher Education, 27(3), 99-108. Scheeler, M. C., & Lee, D. L. (2002). Using technology to deliver immediate corrective feedback to preservice teachers. Journal of Behavioral Education, 11, 231-241. Schön, D. A. (1983). The reflective practitioner: How professionals think in action. New York: Basic Books, inc.
Sewall, M. (2009). Transforming Supervision: using Video elicitation to Support Preservice Teacher-Directed reflective coversations. Issues in Teacher Education, 18(2), 11-30. Simon, A. (2006). Computer-mediated communication: Task performance and satisfaction. Journal of Social Psychology, 146, 349-379. Stones. (1984). Supervision in teacher education. London: methuen. Suh, K. S. (1999). Impact of communication medium on task performance and satisfaction: an examination of media-richness Theory. Information & Management, 35, 295-312.